Elements of the Armed Forces of the Philippines (AFP) 71stInfantry Batallion-Philippine Army nabbed three (3) union leaders of Musahamat Workers Labor Union (MWLU II-NAFLU-KMU) yesterday, February 27 in Pantukan, Compostela Valley for their affiliation with Kilusang Mayo Uno (KMU). KMU is tagged by the government as communist front, which the latter denied. Reports from KMU-Southern Mindanao said that the three unionists are Union President Esperidion Cabaltera, Vice President Richard Genabe and Secretary Ronald Rosales. The three were forcibly taken from their homes and brought into custody of the 71stIB. There was no complaint filed against the three but the soldiers who did not identify themselves told them that they are being taken for their membership to KMU and KMU was `tagged’ as a terrorist organization. 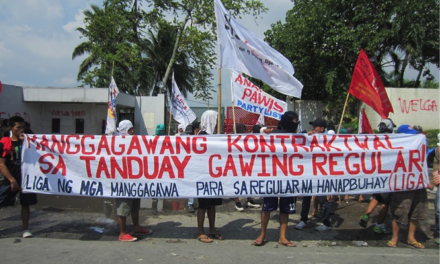 As of writing, Cabaltera and Genabe were already turned over to the Musahamat management by the military, while there has been no update yet on the whereabout of Rosales. The union and the families have not yet been able to communicate with all three unionists. Minutes before the abduction, Cabaltera and Genabe went to the police station to clear their names from a “military list’ and filed for police complaint against unidentified armed men, allegedly from the military who stormed their houses a day before, and forced them to surrender as NPA supporters in order They also reported the incident to the Pantukan Municipal Mayor Roberto Yugo. 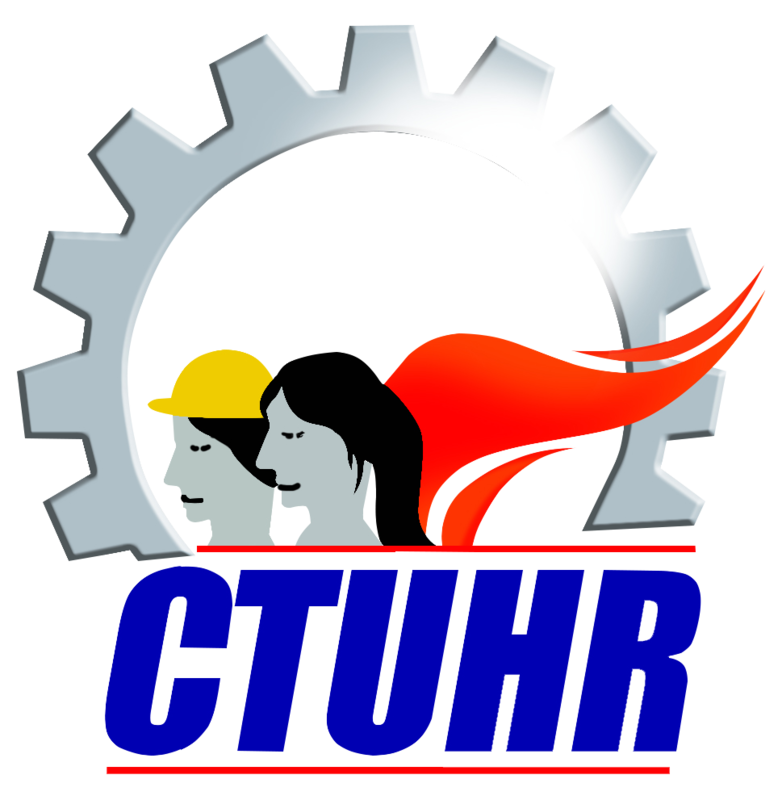 The Center for Trade Union and Human Rights (CTUHR) condemns the abduction and demands for the immediate and unconditional release of the three union leaders and holds the AFP and the Duterte administration accountable. 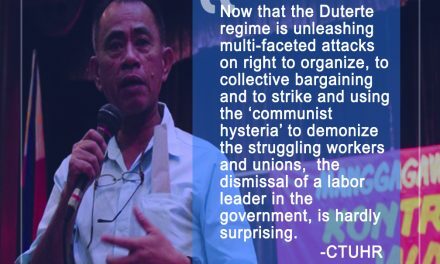 CTUHR Executive Director Daisy Arago reminds the AFP and Duterte government that the right to form unions is a basic human and labour rights guaranteed by the 1987 Constitution and ILO Conventions 87 & 98, which the Philippines is a signatory of. Aragoasserted, “Unionists are not terrorists, and should be protected, rather than harassed by the state. Musahamat Farms 2 Inc. is a subsidiary of Kuwait-owned Sabel International Group W.LL exporting Cavendish bananas and other fruits. It was established in the Philippines in 2008. It has a 182-hectare plantation in Pantukan, Compostela Valley and has other investments in other places in Mindanao. It exports cavendish and senorita bananas to Japan, China and Singapore.